Though the term is used far too often in fashion, Tracee Ellis Ross is an actual icon. 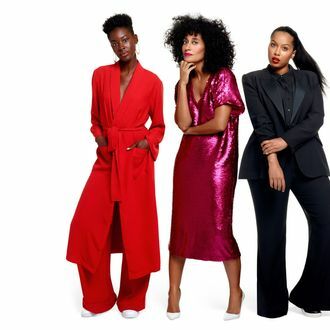 Taking cues from her mother Diana Ross, Tracee has given us serious fashion looks on countless red carpets, and now fans are eagerly awaiting her new clothing collection with JCPenney. The 45-piece limited-edition capsule is finally available to shop in stores and online, and includes a ton of mix-and-match separates, sequin dresses for the holidays, and accessories — all $75 and under. Scroll ahead to see what we’re buying.